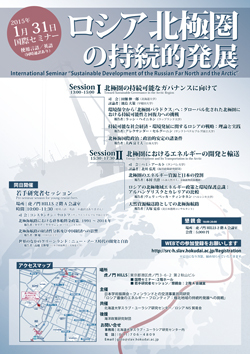 The 2nd seminar of Research Network with North Eurasia will be held as follow. 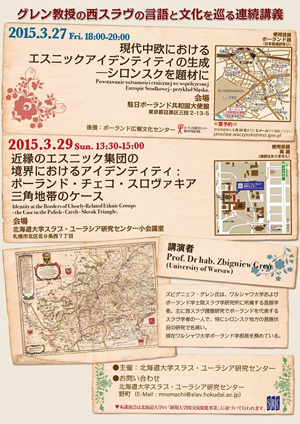 Three researchers of Russian Academy of Science will give lectures on their topics. Please find details in the attached document. "Analysis on Socialist and Post-Socialist Economies: Dialog between Japanese and Korean Researchers"
East-Central European Workshop " Turkey as a regional power and her role in the Middle East and Slavic Eurasia "
Traditional history research is very much tied to the concept of the written archive, often considered as the only "primary" source for historical investigation. Although this concept has been challenged for already quite some time by the "linguistic" or "cultural turn" in historiography and anthropology, the use of photography and film as a primary source is more recent. The participants of the seminar will give several examples of their own interests and practices of the use of "visual documents" in historical research. Political photography and caricature in the late imperial Russia. The practice of color photography in S.M. Prokudin-Gorsky's rodinovedenie. The complementary use of documentary filmmaking and archival research in the history of women's liberation and the practice of "bridal kidnapping" in Soviet and post-Soviet Kyrgyzstan. From the visual-history of Manchuria. - Delia Grigore (University of Bucharest): "A Pattern of Thinking in the Rromani Poetry"
Organizer: JSPS Grant-in-Aid for Scientific Research B, "Images of *East* in Eastern European Literature"
JSPS Grant-in-Aid for Challenging Exploratory Research "Comparative Study on War Narratives in Belarus, Ukraine, and Sakhalin"
Where Did Ukraine Come From? Where Is Ukraine Heading For? 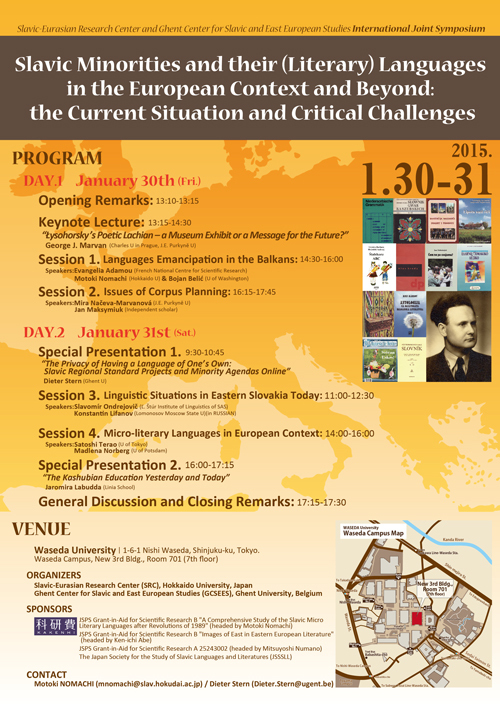 SRC Special Lecture "Фитрат в Турции"
Title: Фитрат в Турции: первые попытки "свободы через Ислам"
Please enter the next registration form. Title: "Язык восточнословацких публикаций в США и механизм его создания"
Title: Об употреблении восточнословацкого литературного языка в городе Прешов в 1918－1919 гг. 2. 18 March 2015. 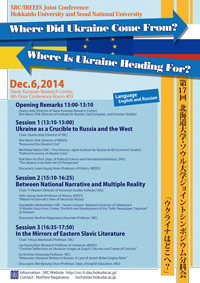 15:00ー17:30 Venue: The University of Tokyo, Faculty of Letters. Bldg.3, 7th fl.